Site has moved! Come view the same posts on my new site at: http://smartbserver.net Click the Blog link, or search for your topic. So I come into work, and load up the console only to see yellow and red warnings. Crap. Well, time to start fixing things. First thing I notice, is that one of my backups failed. this is troublesome, as my past problem with backups and VSS were quite an issue. So I go to the Backups tab, and click backup history. I then see the error “A Volume Shadow Copy Service operation failed. Unknown error (0x800423f3)”. This happened at 7AM, but not at 8PM- this leads me to believe the VSS service was busy so it could not backup my server. On to the event log. I open the event log, and the first 1,000 entries are Outlook connecting and disconnecting. Ill investigate that later- now I will turn off outlook and scroll down to 7 AM. There it is, 3 events. Event ID’s 7001, 12298 and 12310. Before I investigate this, I want to make sure no other tasks are scheduled to run at 7AM. I go to Task Scheduler, and go through each task- theres nothing running at 7AM. I did however find two tasks named FSSScanXXX. 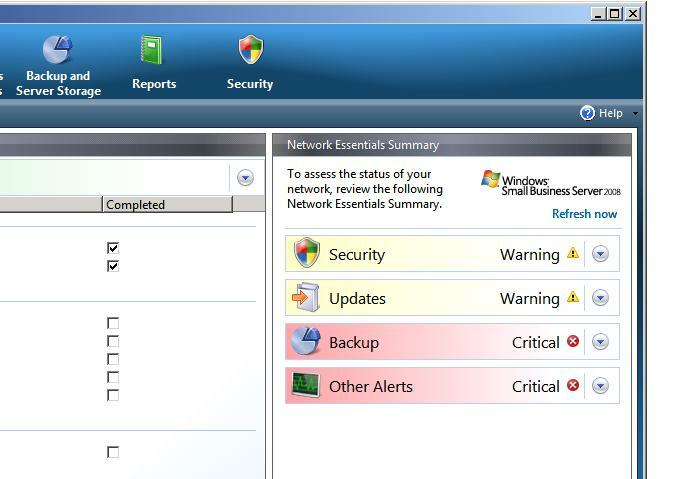 That rung a bell as Forefront Security, which is uninstalled- deleted those tasks. I plugged the three events into Google, and found this page. That post mentioned Hotfixes, but I don’t think I am ready for that yet. I did install Exchange 2007 SP2 recently, maybe that is the issue. Ill keep looking. I stmble upon this post at TechArena, which rang a bell. I just installed Exchange 2007 Rollup 4- though at the failure time it was not installed. Well see how it reacts after the update. The manually run Backup ran fine, no Eventlog errors or failures. Ill comment more on this once the scheduled task runs at 7 AM. Update: The backup completed successfully overnight. It seems this error was in fact caused by a transient error and was corrected by applying Microsoft Exchange SP2 Update Rollup 4. Click the Blog link, or search for your topic.